Humax is launching a 40-inch HD LCD TV with twin digital tuners and a 160GB personal video recorder built in. The LP40-TDR1 lets your record one digital TV channel while watching another. The South Korean electronics manufacturer has fitted the LP40-TDR1 with only one HDMI input, but it does have S-Video, PC, composite and two RGB Scart sockets as well. The LP40-TDR1 can also update itself, should it need to, by receiving its updates over the air. The LP40-TDR1 is available now for £1,200. 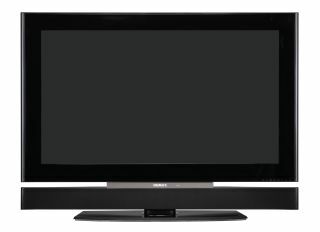 Check the Humax website for local stockists.